earlscourt.ca Sheilagh Stewart, B.Comm., LL.B. earlscourt.ca Paul Ceyssens, B.A., LL.B. It has 2 DNS records, ns1.freshgreenhosting.ca, & ns2.freshgreenhosting.ca. It is hosted by Websitewelcome.com (Texas, Dallas,) using Apache web server. 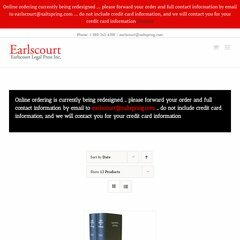 Earlscourt.ca's IP address is 216.172.176.117. PING (216.172.176.117) 56(84) bytes of data.